Here's hoping. Thank you for sharing your beautiful collection! Thanks for the chance! I would love to read these to my kids! would be great to pass down as well. I remember reading all the Tom Swift books . . . . Hoping I could win. It will be a nice gift for my little brother. Wow...love these old books. Thank you for the opportunity to add them to my library! 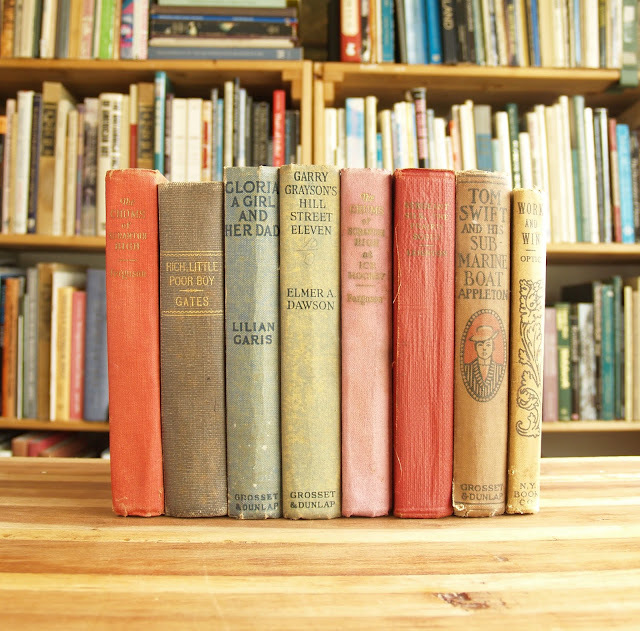 Lovely little set of books! Thanks for the chance to win! I love reading vintage children's books! And this looks like a fun collection. Thanks for the chance. Thank you for a chance to receive these--I could make very good use of this collection. Awesome! I'd love to enter. Thank you for the opportunity. I am slowly building a collection of books that will be given to disadvantaged children whom I know, because books are such great companions in life.